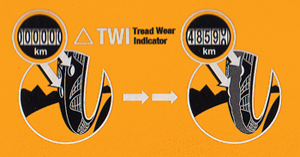 Some confusion has arisen from one of our technology advances on our road tyres - the Tread Wear Indicator (TWI). 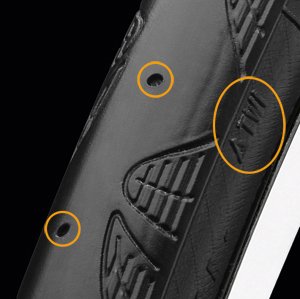 We've been phasing in this feature on our German made race tyres over the past two years and so now you will find two small tap holes in the tread which are designed to disappear as the tyre nears the end of its serviceable life. GP4000SII, GP4000S, GP4000, GP Attack/Force, GPTT, Grand Prix, Grand Prix GT, GP 4Season, Gator Hardshell, Gatorskin, Grand Prix Classic. As this is a phase-in feature, some customers may find that they have identical tyres without this feature. This is no cause for concern.